Often we hear the term when talking about Android. To understand what is fragmentation , we have to take a look at all the version of android released till date. 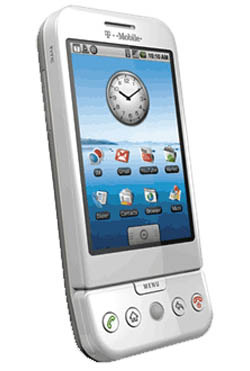 Spanning from Android version 1.0 to 1.5 cupcake , 1.6 Donut, 2.x eclair, 2.2 Froyo, 2.3.x Gingerbread, 3.x Honeycomb and soon to be release 4.x Ice Cream Sandwich, there are more than 10 versions of the OS including all the point releases. So in a short span of time between 2008 and 2011, Google had released so many version of the OS. This meant that device manufacturers also had to keep up with the latest versions of the OS and release their devices with them running. This also meant that users who had purchased older phones and which are still active due to the short time span are running an older version if the same OS. This gives rise to the fragmentation issue. Same OS, different version all active and alive. 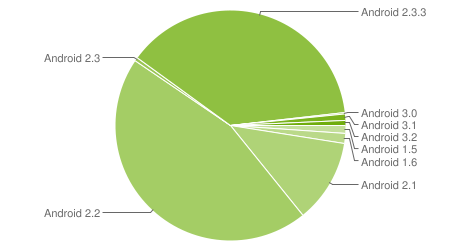 As per android.com the chart above illustrates the share of devices and their version numbers that visited the android market for 14 days as of October 3. To call it either fragmented or quick updates which means additional functionality and optimization all depends on the user point of view.